A soybean field is ready for Harvest in Iowa. Updated at 11 a.m. Nov. 26 with a correction — A southeastern Missouri cotton and soybean farmer has the distinction of being the first person in the United States to face federal charges over alleged dicamba misuse. Bobby David Lowery of Parma, Missouri, was indicted Nov. 13 by Assistant U.S. Attorney Dianna Collins. The indictment alleges Lowery used dicamba improperly, lied to investigators about it and then falsified documents to try and cover it up. Collins’ office confirmed to Harvest Public Media that these were the first federal charges involving dicamba, an herbicide that’s been blamed for damaging millions of acres of non-dicamba-resistant crops across the country. Dicamba has restrictions on soybeans across the U.S., and at the time of the allegations it was not approved for use on cotton in Missouri. Missouri Department of Agriculture spokesperson Sami Jo Freeman said the state started an investigation in 2016 after receiving multiple complaints from nearby farmers. Lowery is charged with 49 counts of misapplication of dicamba and three counts of obstruction of justice. If convicted, he faces up to 20 years in prison and fines of $250,000. Lowery’s attorney declined to comment on the indictment. This is Lowery’s first run-in with federal prosecutors, but he was sentenced in 2016 to two years in prison after pleading guilty to multiple charges relating to crop insurance fraud. Dicamba, which the EPA recently decided to allow farmers to use for another two years, is also the subject of a class-action lawsuit in a U.S. District Court in St. Louis. 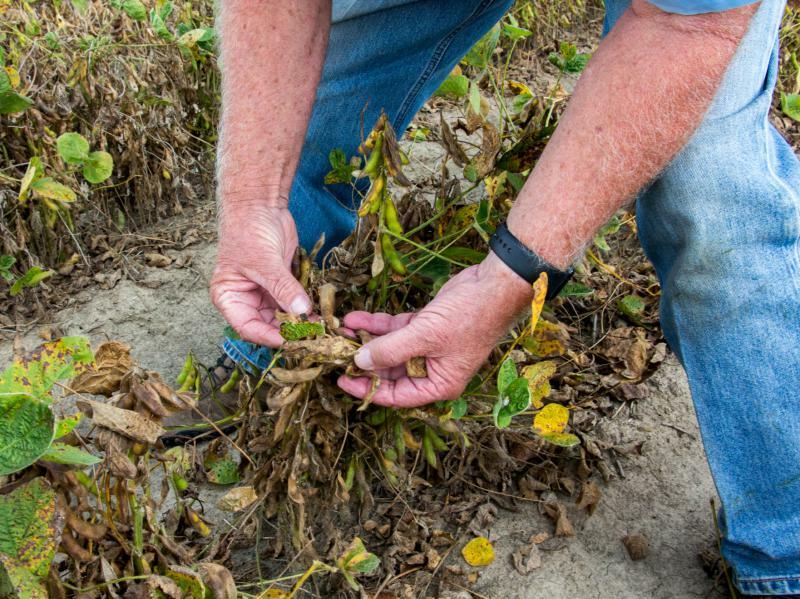 Farmers from eight states are involved, alleging that Monsanto and BASF created dicamba-resistant crops knowing that other fields would be harmed and Monsanto is creating a monopoly off of those plants. 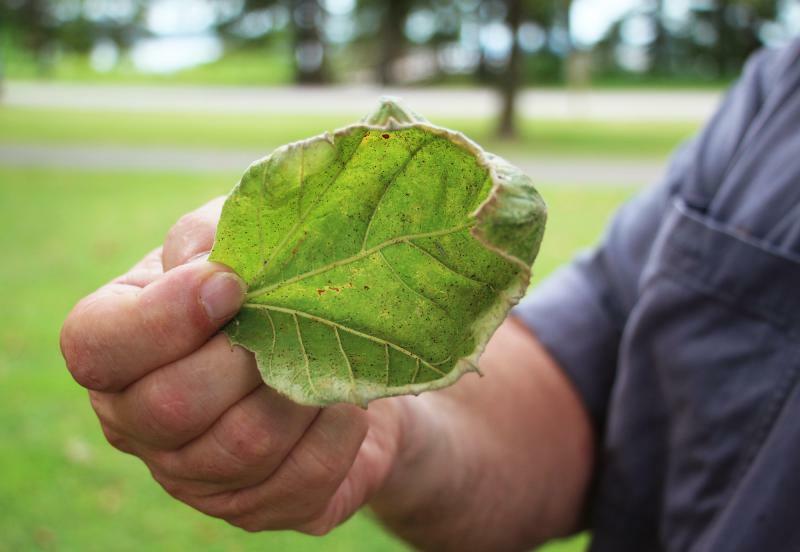 This story has been corrected to show that dicamba can be used on cotton, but at the time it was restricted in Missouri. The fields and back roads of eastern Arkansas were a crime scene this past summer. State inspectors stopped alongside fields to pick up dying weeds. They tested the liquids in farmers' pesticide sprayers. In many cases, they found evidence that farmers were using a banned pesticide. Dozens of farmers could face thousands of dollars in fines. Wind-Blown Pesticides An Issue In Courtrooms, Communities Across U.S. Pesticides are all over, from backyard gardens to cornfields. While their use doesn’t appear to be slowing, concern over drift and the resulting effects on health is driving research — and more worries. Those concerns are bringing pesticides to a different venue: courtrooms. 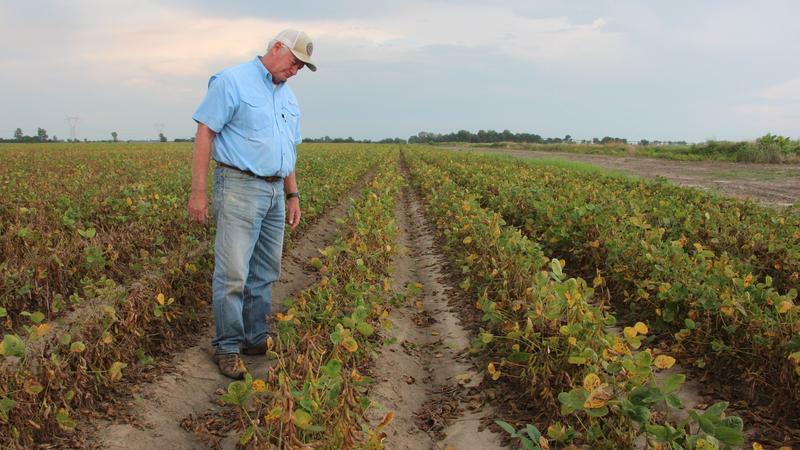 For months, farmers from Mississippi to Minnesota have been waiting for the Environmental Protection Agency to make up its mind about a controversial weedkiller called dicamba.